MBA (Agribusiness) degree programme was launched by the Hon’ble Chief Minister, Sri Nitish Kumar Ji on 22nd July, 2006 in the University during academic session 2006 in the University during academic session 2006-07 with the sole mandate of generating professionally competent and socially responsible and technically qualified human capital with core management competencies having mission of becoming entrepreneurs and developing the capacity of managing agribusiness enterprise. The Agri Business Management (MBA) is a 2 year fully residential programme spanning over four semesters. 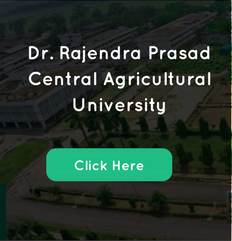 ICAR approved courses of MBA (Agribusiness) has been implemented in this University since 2010. During the first year the programme will undertake teaching on core courses in the subject area of Economics, Marketing, Finance and Accounting, Communication, Legal Management, Human Resource Management, Management Information System, Agribusiness Environment and Policy, and students are given a holistic view of general management covering all functional areas of management. To have hands on experience in application of management theories, rural project work and summer training are planned for their understanding of the field realities which are reflected in their project reports. During the second year compulsory, non credit courses and elective package of courses are offered and in their final semester they are attached to industries for rigorous training and finally preparing a project report for completion of degree.